March is National Women’s History Month. 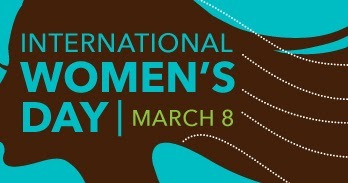 A month that honors women who have made a difference, women who are inspirational, women who are strong–you know them. There will be those names that we all have heard and admire, but there are many women who no one but their families and communities will ever know of. These women may have been in the military, marched for the civil rights of all. They may have been your teacher, your mother, the lady who lived next door or just the nice sales lady who always treated you with respect even though she knew you would not be buying. This month is in honor of that teacher that kept you from recess to help you with your math. It’s honoring your grandmother who worked so hard–working jobs that you swore you would never do, and she never wanted you to do. This month is to honor “all women”– the women who were influential in your life. Believe it or not, the celebration of Women’s History Month on a smaller scale started in 1911. It gained national recognition in 1975. You can see the history of Women’s History Month by clicking The History of Women’s History Month. Check your local areas for events honoring women this month. Remember “thisisyourbestyear”. Honor a woman today.